When November arrives, I know it’s almost time for the Christmas markets to start. 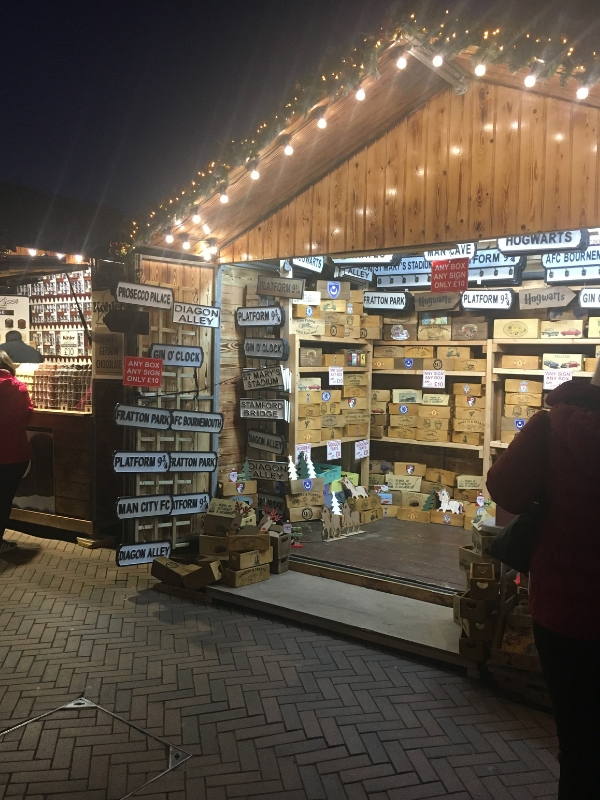 There is something magical about visiting a Christmas market as the sun starts to go down and the lights start to twinkle, and we took an ideal opportunity last weekend to visit Bournemouth Christmas market. Our journey to Bournemouth was affected by some major road works this year which made us rethink how we were going to access the town centre. Usually we have a fairly straight forward route into town, but taking the same route this year would have meant long delays and we wanted to avoid this if possible. Since having children I am a lot more mindful of the perils of car journeys and venturing out at night, especially if we are travelling roads less known to us. Hubby is in charge of making sure we have adequate breakdown cover as part of our car insurance, which does provide a lot of peace of mind to know we won’t be stranded if the unfortunate does happen. A new route planned and we set off as the sun was still high in the sky. By the time we arrived in one of the busy town centre car parks the sun was beginning to set. We were right to select an alternative route as the radio was informing us of long delays on the main roads due to the road works. 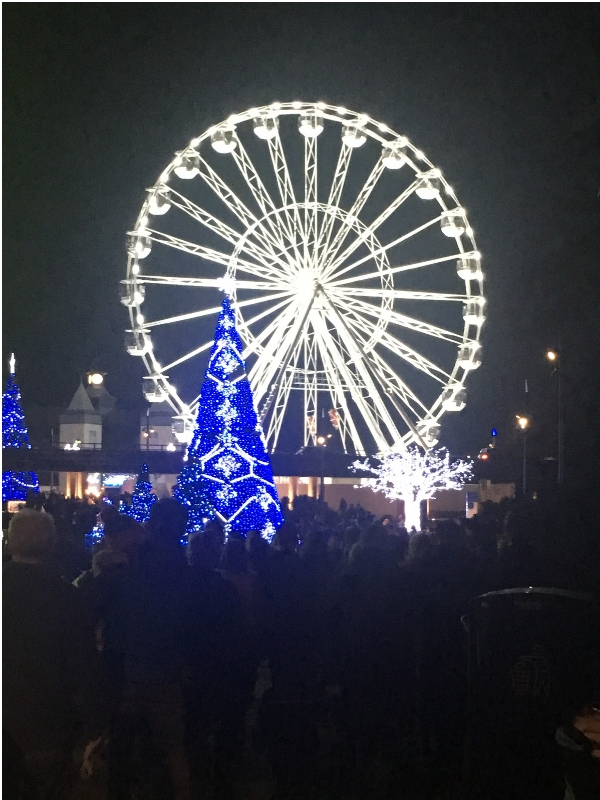 There are plenty of car parks to choose from in Bournemouth, some even have selected free parking days during the festive season, so it’s worth checking out your options before you travel. It was a slightly chilly evening once we ventured towards the Christmas market on foot, but this made it feel a lot more like Christmas which is all part of the magic of the season. Bournemouth Christmas market has something for everyone. There was live music playing which provided a great atmosphere and we could hear it from quite some distance away. Nearing the hub of the action, we could smell some amazing aromas from the food stalls cooking a variety of festive treats. We began our evening by wandering along the festive market stalls looking at all the wares on offer from sweet treats to unique gift ideas. I love wandering past and it sparking my imagination for a gift idea for someone I have been stuck on what to buy for them. We didn’t have Abby with us on this visit, so we were able to take advantage of the Alpine Bar, but there is plenty for the kids as well including Santa’s Grotto, Christmas Tree Wonderland and the popular ice skating rink. A visit to the Pantomime is always a lovely idea as well nearer Christmas. After browsing the market stalls, we really wanted to walk through the Christmas Tree Wonderland in Bournemouth Gardens. 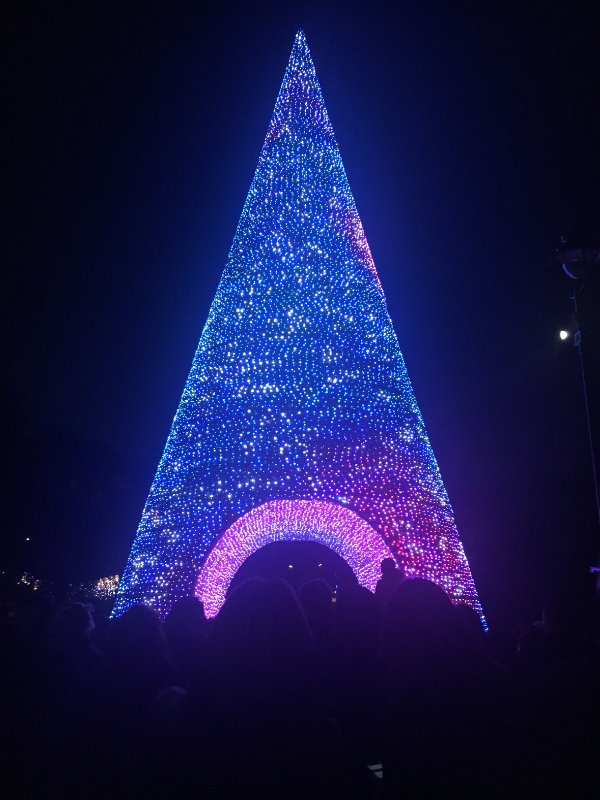 With over 100 trees and illuminations it’s well worth a visit. 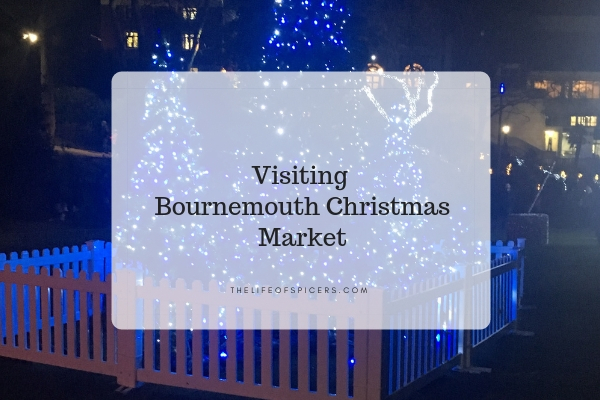 We spent a great few hours at Bournemouth Christmas market before refuelling on hot chocolate and snacks and returning home. I know we will be returning again during this Christmas season as there is so much to see and do. That looks lovely. There’s something so nice about being able to wander a Christmas market. I love that stall with the signs!